New Zealand Shippers’ Council Inc. 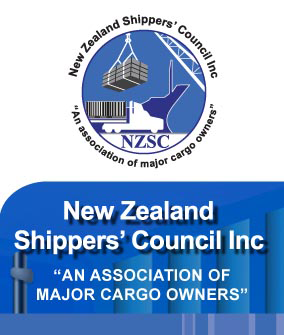 The New Zealand Shippers’ Council (NZSC) is the principal association representing New Zealand’s major cargo owners including many of the country’s biggest exporters and importers. We are the peak body in supply chain developments, especially relating to cargo handling and movement, commerce and legislative change. We provide a range of links to useful information supplied by Export NZ, NZTE and NZ Customs to assist businesses to prepare for Brexit. NZSC endorses the aims of the Ko Tatou This Is Us programme. All members are encouraged to increase their commitment to biosecurity and understand their role in strengthening New Zealand's biosecurity by commiting to best practice biosecurity in their operations and throughout their supply chains. You can find more information about the Biosecurity Business Commitment Pledge by clicking More Information. Consultation: Revised Import Health Standard for Sea Containers. Submissions close 3 June. Bigger Ships - What are the implications for New Zealand? Shippers’ Council tackles supply chain issues.